St. Cecilia Music Center will bring husband and wife duo Béla Fleck and Abigail Washburn to Royce Auditorium on Friday, February 23, 2018. This will be the duo’s first appearance together in Grand Rapids. 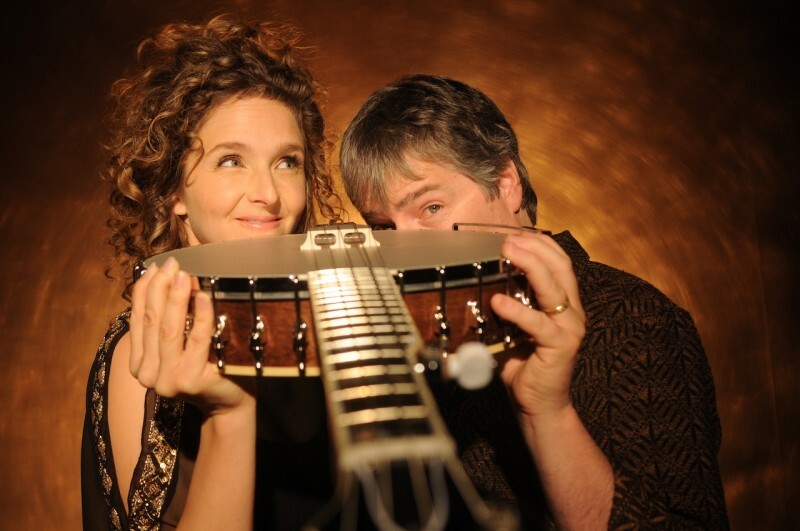 Béla Fleck and Abigail Washburn tickets are $45 and $50 and can be purchased by calling St. Cecilia Music Center at 616-459-2224 or visiting the box office at 24 Ransom Ave. NE. Tickets can also be purchased online at www.scmc-online.org. A post-concert party with a cash bar will be offered to all ticket-holders. The Acoustic Café Series, in partnership with the syndicated radio show of the same name, will round out the season with banjo gurus and singers Béla Fleck & Abigail Washburn; the band Asleep at the Wheel, and singer/songwriter, banjo and fiddler Rhiannon Giddens co-founder of the Grammy award-winning string band Carolina Chocolate Drops. Cathy Holbrook states, “Since its inception in the 2015-16 season the Acoustic Café Folk Series has expanded its offerings and brought some of today’s up and coming artists, as well as some of the veterans of the singer/songwriter genre. SCMC formed a partnership three years ago with the syndicated radio show Acoustic Café and its host Rob Reinhart. The Ann Arbor based radio program is syndicated to over 100 commercial and non-commercial stations throughout the country and airs locally in Grand Rapids on WYCE on Friday mornings. The series at SCMC features touring singer/songwriter folk/Americana musicians in concert and also presents the opportunity for a live taping with the artists and Rob Reinhart while visiting SCMC. Béla Fleck & Abigail Washburn, “the king and queen of the banjo” (Paste Magazine), have a musical partnership like no other. Béla Fleck is a fifteen-time Grammy Award winner who has taken the instrument across multiple genres, and Abigail Washburn is a singer-songwriter and claw hammer banjo player who re-radicalized it by combining it with Far East culture and sounds. Fleck has the virtuosic, jazz-to-classical ingenuity of an iconic instrumentalist and composer with bluegrass roots. His collaborations range from his ground-breaking standard-setting ensemble Béla Fleck and the Flecktones, to a staggeringly broad array of musical experiments. From writing concertos for full symphony orchestra, exploring the banjo’s African roots, to jazz duos with Chick Corea, many tout that Béla Fleck is the world’s premier banjo player. Washburn has the earthy sophistication of a postmodern, old-time singer-songwriter who has drawn critical acclaim for her solo albums. 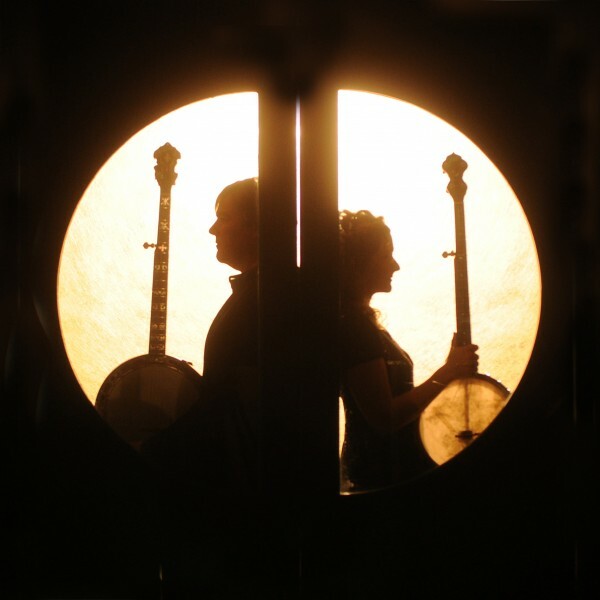 With one eye on using the banjo to showcase Americas rich heritage and the other pulling the noble instrument from its most familiar arena into new and unique realms, Béla Fleck and Abigail Washburn’s second album “Echo in the Valley” is simultaneously familiar and wildly innovative. “Some of the most interesting things in the world come together in strange and unique ways and show our diversity,” reflects Fleck. “The banjo is just one of those things. It’s a great example of how the world can combine things and create surprising hybrids,” a reference to the ancestral African roots of the banjo combining with Scotch-Irish music in Appalachia. The results are fascinating, especially considering their strict rules for recording: all sounds must be created by the two of them, the only instruments used are banjos (they have seven between them, ranging from a ukulele to an upright bass banjo), and they must be able to perform every recorded song live. Fleck and Washburn met at a square dance and began playing music together a dozen years ago, beginning with the Sparrow Quartet. They married shortly thereafter and became parents to a cute little tot. They’ve been touring the globe as a duo for years, almost nonstop, but for each other’s performances with various other musical iterations: Béla with the likes of Béla Fleck and the Flecktones, Chick Corea and Chris Thile, among many others, and Abigail with Wu Fei (a master of the ancient 21-string Chinese zither), The Wu-Force and Uncle Earl. Washburn has imbued this philosophy in all aspects of her work, from the string band Uncle Earl to her acclaimed solo albums, ‘Song of the Traveling Daughter’ and ‘City of Refuge’, and her semi-autobiographical theatrical work, ‘Post-American Girl’, as well as in her musical ambassadorship with China, a country with which she has a long, profound history. Abigail is deftly following in the footsteps of the founding mothers of folk and has become a prominent voice of old-time in our time while bringing to light those ancient sounds of American and Far East cultures in new and exciting ways. 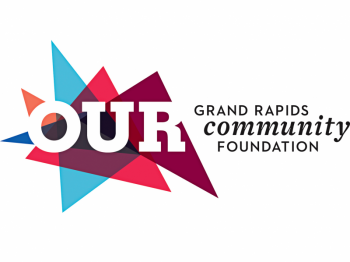 Tickets to the concerts in 2018 within the Jazz Series, Chamber Music Society of Lincoln Center Series, Acoustic Cafe Folk Series, and John Proulx CD Release Party are available by calling 616-459-2224 or visiting St. Cecilia Music Center at 24 Ransom NE, Grand Rapids, 49503. Tickets can also be purchased online at www.scmc-online.org. For each concert, a post-concert party is open to all ticket-holders giving the audience the opportunity to meet the artists and obtain signed CDs of their releases. There are also pre-concert receptions for the CMS of Lincoln Center concerts and the Jazz Series concerts with wine and hors d'oeuvres for $15 per person. St. Cecilia Music Center features rising sensational The War and Treaty on Sunday, February 24 at 7:30 p.m.